Today's profile is of Vicki Batten, CEO of FSG Australia. 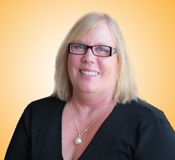 Vicki Batten serves as CEO of a large, highly respected not-for-profit organization in Australia. Throughout her career, Batten enjoyed some recognition as the recipient of local and state awards. However, being nominated for a global Stevie Award and subsequently winning the Gold, was a source of great pride for Batten. Once Batten earned the 2012 Gold Stevie Award for Female Innovator of the Year in the Government or Non-Profit category, things around her changed. In addition to the voluminous recognition and accolades she earned from colleagues, throughout the community and in business, she was soon presented with many requests to speak at several events. The Gold Stevie Award, coupled with the increased interest in Batten’s speaking appearances, elevated her role in the community in which the non-profit she heads serves, and also helped spread the word about the prestige of the Stevie Awards on the Gold Coast. Learn more about the Stevie Awards for Women in Business at www.StevieAwards.com/Women. The entry deadline is August 28.